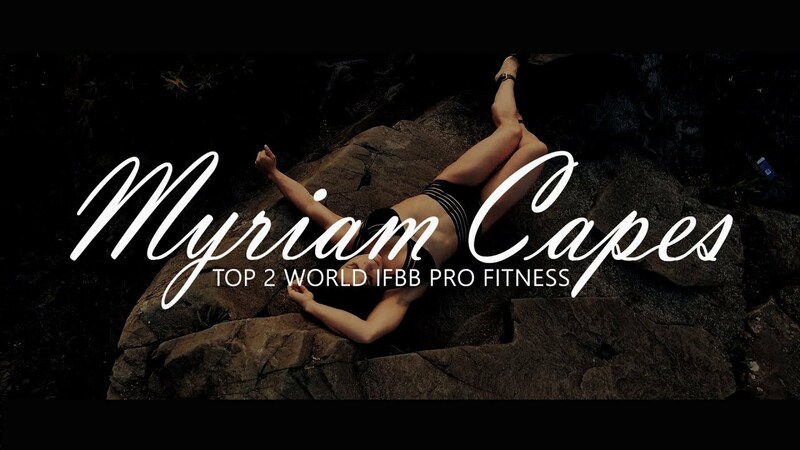 MYRIAM CAPES IFBB PRO: a Fitness competitor currently ranked 2nd in the IFBB World Ranking. At only 22 years old, Myriam obtained her pro card at the CBBF Canadian Fitness and Figure Championship after winning for a 3 times in a row. September 2017 was her 9th participation at the prestigious Olympia competition, where she placed 2rd. Since 2010 she ranked among the Top 4. Thanks for sharing your passion with Myriam and welcome to her Fitness world! MYRIAM CAPES IFBB PRO: une atlhlète de Fitness présentement classée 2e auprès de la IFBB, le plus haut niveau de compétition dans cette discipline. Myriam a obtenu son titre professionnel à l’âge de 22 ans, suite à une 3e victoire consécutive auprès de la CBBF Canadian Fitness and Figure Championship. En septembre 2017, elle a participé pour la 9e fois au prestigieux concours Olympia où elle s’est classée 2e . Elle figure parmi le top 4 depuis 2010. Merci de partager sa passion pour ce sport et bienvenue dans son univers du Fitness! FOLLOW MY EVERYDAY LIFE ON MY SOCIAL NETWORK AND BE PART OF THE TEAM!